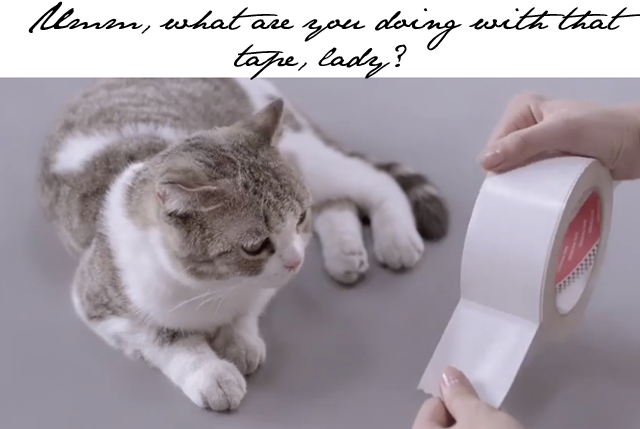 Why is Kotex in Asia putting tape on cats to advertise? The model hands then place the tape on the cat, then another cat, and then another. Somehow placing tape on cats is similar to women's discomfort when it comes to "that time of the month". Seriously, where's the message, "no cats were harmed in the making of this video." Those cats sure didn't look happy to me and I'd like to know how that tape was removed. One hates to think cats are made to feel uncomfortable so that women in Asia can feel more comfortable in their choice of protection once a month. Honestly, folks. You'd never get away with that ad in the US of A, Kotex.